Contrary to myth, frequent vacuuming does not ruin carpeting. 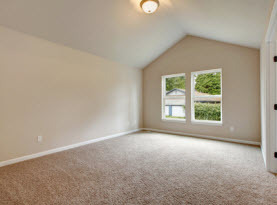 It is essential the carpets get vacuumed on a routine basis, especially in high traffic areas. 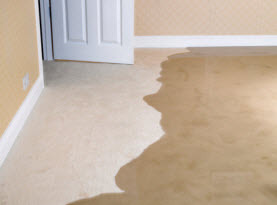 Dirt and debris not only make the carpets look dingy, but it expedites the deterioration as well. If the vacuum is not working to its full potential then your carpets suffer for it. It is recommended that the vacuum cleaner is cleaned monthly and the filter replaced every six months. With that in mind, we at CA Carpet Cleaning and Water Clean Up would like to run down the basic steps in cleaning the vacuum cleaner. 1) Collect the following vacuum cleaner tools and equipment: New filter (if applicable), Dust cloth, Toothbrush designated for cleaning, Vacuum’s manual, Screwdriver (most use Phillips, but make sure you have the right one), Scissors, Can of compressed air, and fill the sink with warm soapy water. 2) Remove the detachable vacuum parts: Remove the detachable parts according to the vacuum’s manual. In a bag-less vacuum, generally, you can detach several parts including all attachment accessories, the secondary cyclone piece, the pre-motor filter, HEPA post-motor filter, the dust bin, and any additional parts specific to your model vacuum. 3) Wash detachable vacuum pieces: Prior to submerging any pieces you removed in the soapy water, make sure the parts are permutable for such as some can only be dusted off. Most often than not, you can soak and wash the dust bin, pre-motor filter, secondary cyclone, and extension wands. Remainder parts should be wiped down with the dust cloth and toothbrush in the hard to reach areas. Parts should be allowed time to dry, some require over night or longer, do not put the vacuum back together until it is completely dry. 4) Rotating floor brush: Use a screwdriver to unscrew the casing and remove the rotating floor brush. Remove the hair and string by using the scissors to cut the mess loose and pull it off with your fingers; wipe it down once the debris is removed. Replace the brush and screw the casing back on. 5) Interior vacuum cleaning: The very nature of the device will cause a collection of dust to settle on the various surfaces that doesn’t make it into the dust bin. Take the vacuum outside and blast the interior and underneath the vacuum with the compressed air. Wipe down all the reachable areas with the dust cloth. 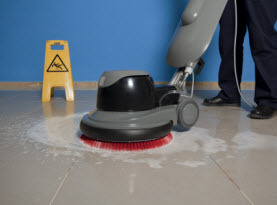 6) Remove any obstructions in vacuum hose: Behind the floor brush is the primary passageway where the suction path pulls in the dirt and debris. Make sure this small circular air passageway has no clogs and with the toothbrush you remove any that may be there. Detach the hose and make hose and make sure there aren’t obstructions there as well. 7) Reassemble vacuum: The vacuum’s HEPA filter needs to be replaced every 6 months as previously mentioned, before reassembling, replace it if it is time. Make certain all the parts are completely dry before putting the vacuum back together. Once it is all put back together, be sure to wipe down the exterior. 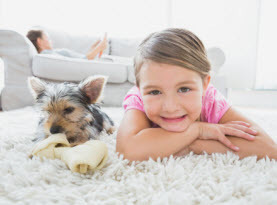 Carpets that are routinely vacuumed immediately cleaned when spills occur, and that get a deep professional cleaning at least once a year can stay on optimal condition and potentially extend their longevity. If your carpets are due or could use a professional cleaning, call in the experts of CA Carpet Cleaning and Water Clean Up.